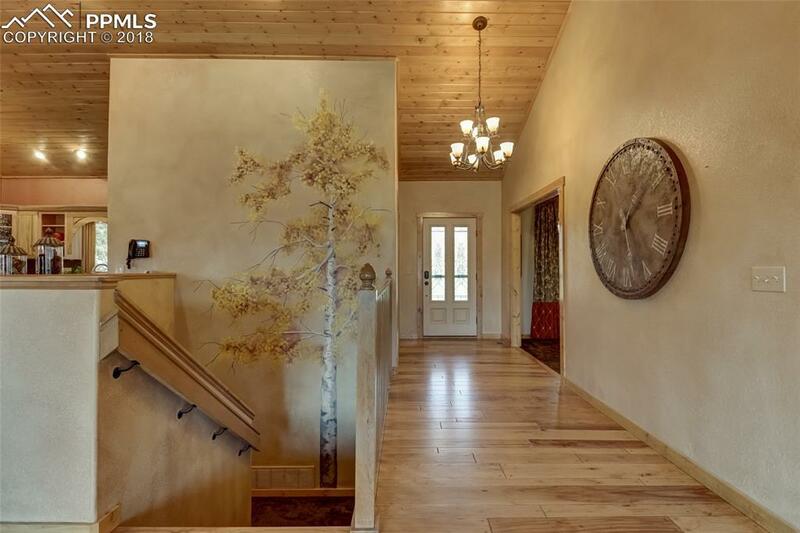 Not your ordinary log home! Upscale home is the stuff dreams are made of! 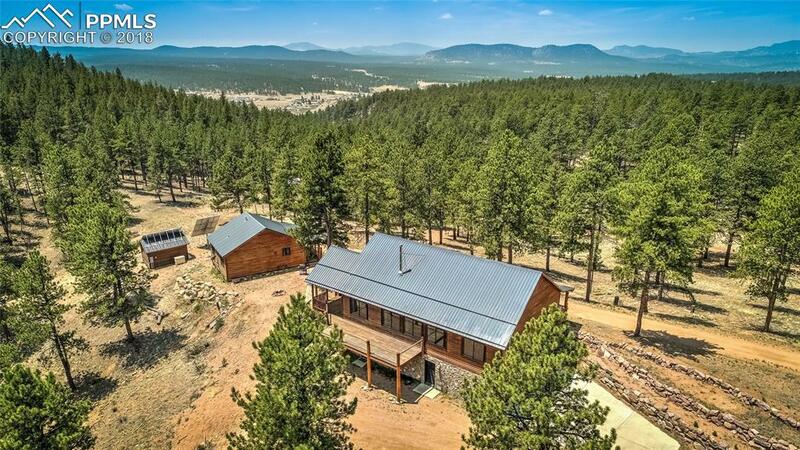 Custom 2-Bd Log Home (2550sf) PLUS 2-Bd Cabin (720sf) on 42 acres in the mountains! Knockout amenities with vaulted ceilings, hardwood flooring, rich cabinetry, custom window treatments and space galore. Incredible Liv rm with woodburning stove on raised hearth and expansive views. Kitchen is a cookÃ¢â‚¬â„¢s vision with gas stove, stainless appliances, slate floors and quartz countertops. Welcome to serenity! Little Joe never had it so good!! Spacious master with spa-like bath has extra large shower, double sinks and gorgeous slab log countertop. Addtl downstairs Bedrm and Family Room with Ã‚Â¾ Bath. 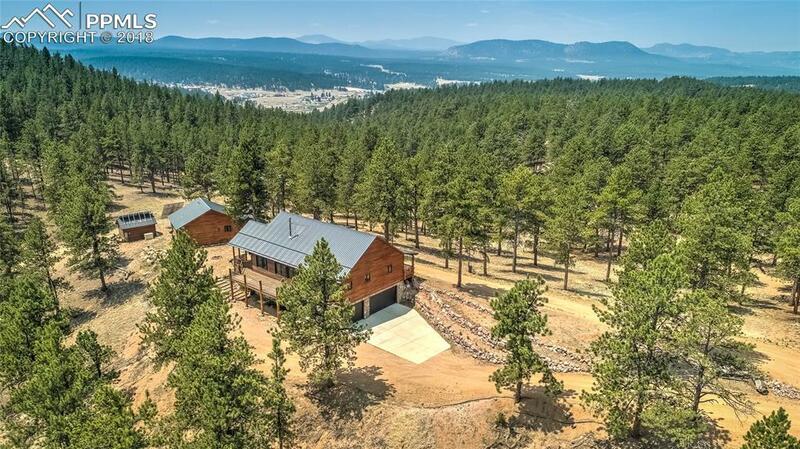 Plus thereÃ¢â‚¬â„¢s plenty of outdoor areas to relax with covered front porch, side porch and large deck complete with Pikes Peak views and miles of woods. Having guests? 2-Bdrm, 1-Bath Cabin with Open Living room, Dining Room, Kitchen is ideal for guests or using as VRBO. Main house has 2-bedrooms and front room could be converted to a 3rd bedroom. 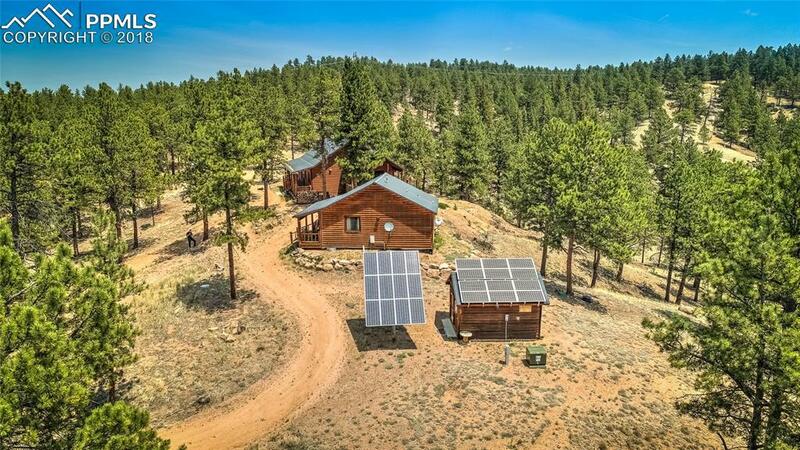 Both homes are on grid or you can heat main house with wood stove. Main house is also damper-zoned for heating just parts of it. Fun chicken coop and huge metal storage shed are just some of the extras.